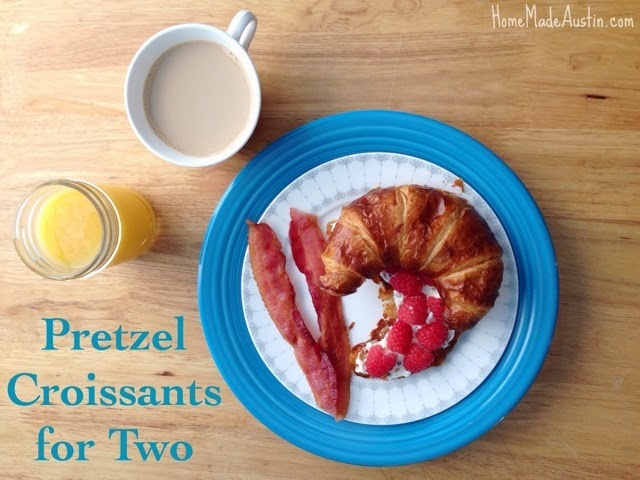 Did you know that there is a delicious, flaky, buttery, hint of pretzel flavored goodness called a Pretzel Croissant? 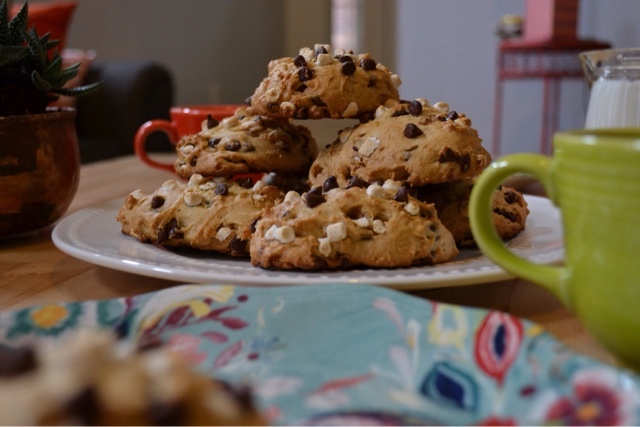 And most likely, you can find a box of these delectable treats in the bakery section of your local grocery store? I had no idea either, but when I happened upon these while strolling through my neighborhood H-E-B Saturday afternoon, I knew they had to be mine. Had. to . be. And I'm so glad I threw them in my basket. These baked beauties were just right for a Sunday morning breakfast for Andrew & I. I toasted them up & slathered them with some homemade honey walnut cream cheese & topped them off with fresh raspberries. Oh My Yum! Whip together cream cheese & honey for a few second to combine. Fold in walnuts. Set aside. 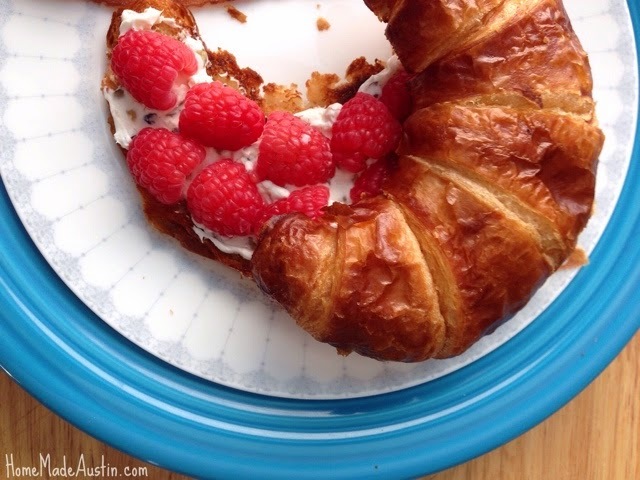 Slice each croissant lengthwise and liberally butter each half. 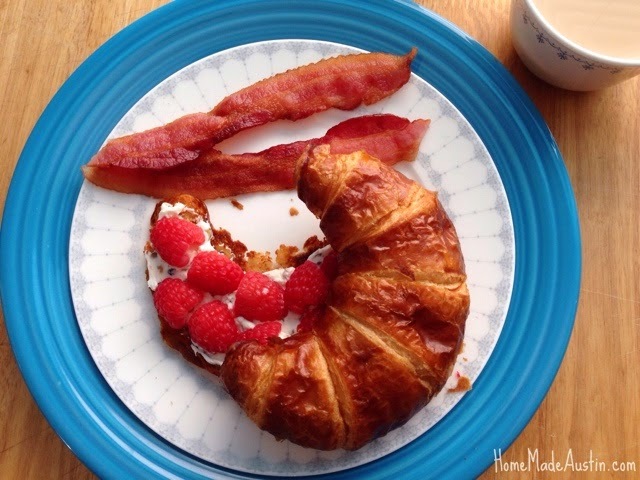 On a warmed griddle pan, toast each half of the croissant, butter side down. This should only take a minute or two. 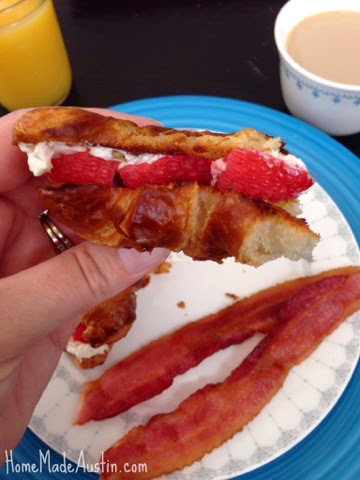 Top bottom half of each croissant with cream cheese spread and top with halved raspberries. 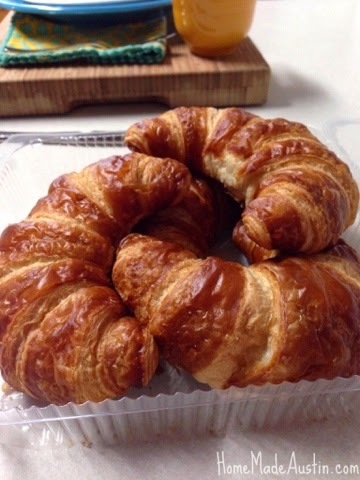 Finish off with the second half of the croissant. Enjoy!